Aniplex has announced two different anime adaptations for the popular mobile game, Fate/Grand Order. The first is a TV anime adaptation titled Fate/Grand Order: Zettai Majū Sensen Babylonia. It will adapt the Seventh Singularity: Babylonia: The Absolute Frontline in the War Against the Demonic Beasts story from the mobile game. It is set to premiere in 2019. The second is a two-part anime film project which will adapt the Sixth Singularity: Camelot: The Sacred Round Table Realm story from the mobile game. 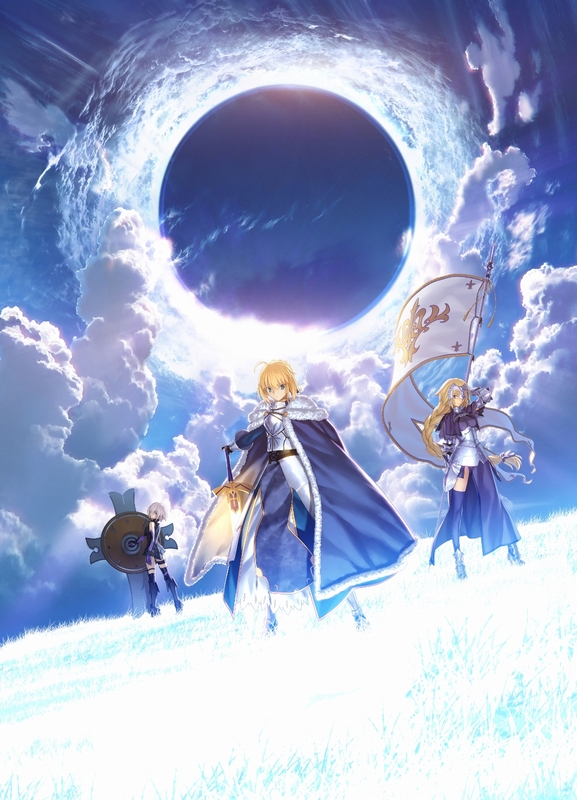 The first film is titled Fate/Grand Order Shinsei Entaku Ryōiki Camelot: Wandering: Agateram and the second film is titled Fate/Grand Order Shinsei Entaku Ryōiki Camelot: Paladin: Agateram. A survey was held in January that asked fans which quest was their favorite from the game and what future developments they’d like to see for the series. For favorite quest, the Babylonia main story quest ranked first and the Camelot main story quest ranked second. For future developments, TV anime ranked first and anime film ranked second. You can check out a video showing the results of the survey and announcing the anime adaptations below. The two anime projects will be produced by different studios. CloverWorks will produce the TV anime project with Toshifumi Akai directing the adaptation. Miyuki Kuroki will act as assistant director and Tomoaki Takase will work on the character designs. Keita Haga and Ryo Kawasaki will compose the music. Production I.G will produce the two-part anime film project. Hideyuki Fukasawa and Keita Haga will compose the music for the films. Takeshi Takeuchi wil serve as lead character designer for both projects. Are you excited to see these upcoming anime?